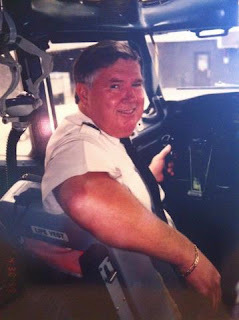 Update: Captain Strong’s obituary now posted on our blogspot. 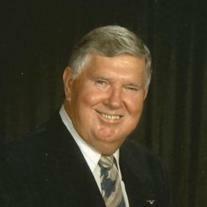 A visitation will be held on Wednesday August 1, 2012 from 7:00pm to 9:00pm at Van Orsdel Kendall Chapel. A Mass of the Resurrection will be on Thursday August 2, 2012 at 11:00am at St. Timothy Catholic Church. BORN ON OCTOBER 12, 1935, PASSED AWAY ON JULY 27, 2012. MEL WAS BORN IN HOLLYWOOD, FL. HE IS SURVIVED BY HIS WIFE JOAN OF 54 YEARS AND THREE CHILDREN, MARY (BARRETT), TIM, TRISHA (FUSSELL) AND 6 GRANDCHILDREN, MELINDA CABRERA, MICHELLE FIEBECK, BRANDON STRONG, ELIZA, AUSTIN AND CHANDLER HARRIS AND ONE GREAT-GRANDCHILD, BRAYDEN CABRERA. HE GRADUATED FROM EMBRY RIDDLE SCHOOL OF AVIATION AND STARTED HIS CAREER WITH DELTA AIRLINES IN JANUARY 1957. HE STARTED AS A MECHANIC FOR SIX YEARS AND MOVED UP TO A PILOT AND FLEW THE DC8, DC9, DC 1011 AND RETIRED IN 1993 AS A CAPTAIN ON THE 727. HE WAS A LONG TIME MEMBER OF ST. TIMOTHY'S CATHOLIC CHURCH, RUNNING THE ANNUAL CARNIVAL FOR OVER 22 YEARS. HE RAN THE ARTS & CRAFT SHOW TO BENEFIT THE CCD FOR SIX YEARS AND WAS A LECTOR AND USHER. EVERYONE WAS HIS FRIEND AND HE WILL BE MISSED BY ALL WHOSE LIVES HE TOUCHED. A visitation will be held on Wednesday August 1, 2012 from 7:00pm to 9:00pm at Van Orsdel Kendall Chapel. A Mass of the Resurrection will be on Thursday August 2, 2012 at 11:00am at St. Timothy Catholic Church. 5111 SW 93rd Ct., Miami FL 33165-6516 .. (305) 271-4066 .